If you want to make a disk image, but you don't have any special programs that might work for even ordinary, beloved of Nero, which many people use to burn discs. The program Nero Burning Rom has long been considered one of the most popular programs for recording CDs and DVDs and many use it solely for this purpose. However, not everyone is aware that with its help it is possible to do, and more in particular to create images of disks that later can be used for virtual drives and writing to physical media. You can download it from the official website www.nero.com. In order to create the image, start Nero Express and choose the recorder as Image Recorder (DVD or CD, depending on which way you need). Next, in the "What you want to record? ", choose "Data" and "data Disc" (or "Bootable data disc" if you plan then burn the image and use the disk to boot). Using the "Add" button, select the files and folders that you want to see in the image. The red bar at the bottom on the scale shows you to what size you can fill the image files. When finished, click on the "Next"button. Here you can change the drive name and choose recorder, if for some reason forgot to do it initially. Now click on the "Record" button. You will be asked to write the name of the file and choose the image type to nrg or iso. The way the nrg is less common. It recognizes the program itself Nero and some emulators virtual drives. Iso images are more widely disseminated and understood by most emulators. Click the "Save" button, then wait until Nero will create the image and write it to the hard drive. In order to record the created image to disk, switch to Nero Burning Rom, instead of the Image Recorder select your burner, and from the top menu select "Recorder" and "Burn the image". After you specify a file, you go into a menu on the disc. Here click "Burn" and wait until information is recorded. To create a backup disk, you need somewhere to copy and the hard drive of your computer is quite suitable for this purpose. Depending on the contents of the disk and further use of copies, we can recommend different ways of copying. Go to the Explorer to that drive, select all folders in the root directory and copy them to a folder on your hard drive that you have set out to store copies of it. You can copy by dragging the selected data to the new folder and selecting "Copy" from the context menu, available by pressing the right mouse button on the selected objects. Then, select a folder on your hard drive, open the shortcut menu again and select "Paste". Wait for the copy process. If you are going to convert a movie in any other format (avi, mkv, etc. ), it is possible to do without pre-copying the hard drive, simply specify the program-Converter your DVD drive as the source data for conversion. In the process of converting the result file will be written to the hard disk. A disc containing mixed data (photos, documents, etc.). As in the first case, it is sufficient to open the drive in Explorer and selecting all the files and folders to copy to the hard drive. If the disk contains a distribution kit (installation files) of any software (e.g. games), then it is advisable to make a so-called image drive. This can be done with programs like Nero Burning ROM, CDBurner Daemon Tools. In the future, for the use of the image, in General, it will have to mount on a virtual CD/DVD-ROM. 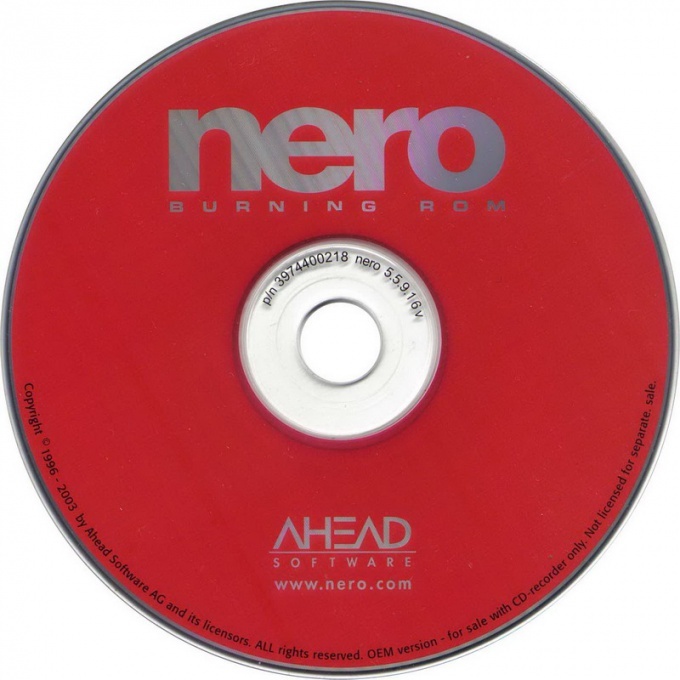 The software of the German company Nero is one of the most widely used means of creating CDs and DVDs. This is due to its ease of use and excellent reputation of the manufacturer. The most common product was a software package Nero Burning ROM, a description of the action in which when recording a DVD, is given below. Start Nero Burning ROM and from the drop down list placed in the upper left corner of the window, select DVD. In the list of options in the left column, select the type of DVD that you want to create. If it has to be DVD containing any data files, then select DVD-ROM (ISO); for creating a disc with the video, click DVD-Video. Below are the steps to create a video DVD. Go to the "Recording" tab and make sure that the "Record" set a mark, and in the "Simulation" checkbox is empty. In the "write Speed" leave the default "Max" if you had no problems when burning this disc with this setup, depending on the type and quality of the optical disk is sometimes at maximum speed, you cannot get a quality recording and the procedure must be repeated with reduced speed. Click "New" and window "wizard" will close and you will need to set the correct value for the size of the used disk in the drop-down list in the lower right corner of the opened Nero window. By doing this, in the right pane of the program, navigate to the folder where you store the prepared recording file formats bup, ifo, vob - to create this set of files in the package Nero designed an independent program Nero Vision. Select all the files and drag and drop them into the VIDEO_TS folder in the left pane of the program interface. The occupancy level of the disc while is displayed on the indicator is colour coded in the lower part of the window. Click the "Record" button when all necessary files are moved. The program will re-launch the wizard in which you can check again exhibited at the beginning of the setup. Then Pomezia DVD disc in the recorder, wait a few seconds until the operating system is familiar with its contents, and then click "Burn". Nero starts the recording operation of the DVD, which will be displayed on the screen. This process can take several hours, and at the end the program will beep and will nominate from the recorder tray with the finished DVD. From the menu "What You want to do", as shown in the figure, select Make DVD...-> DVD-Video. 2. On the page that appears, the "Content" add the video that you want to record on our DVD. To do this, simply drag files to the left pane of the window, or use the "Add video files..." from the menu on the right. How to burn videos to a CD? Start Nero Smart Start, choose category "to Create VideoCD". The program thus keeps track of which volume on disk is collected by you files. After the compilation video is ready, click the record button and you can configure some settings, such as recording speed, resolution, use menus, etc. After you click "Burn" going on the record disc. The image disk is an exact copy of disk, from which was made the way. You can save it on the computer's hard drive when you need to access at any time with the help of special programs. Also a virtual image at any time to record on a regular disk. One of the programs with which you can create image of the diskcalled Nero. 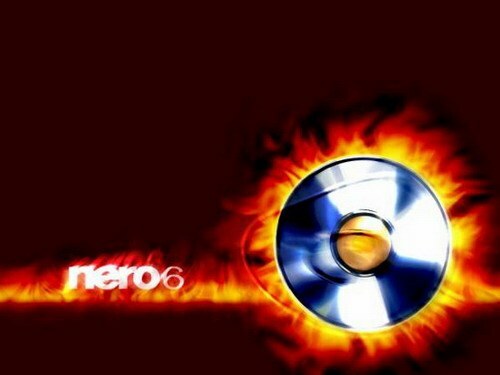 Although some users Nero is known mainly as a program for recording information on the disks. If it is you have not installed, you must download and install. Insert the disk that will be imaged in the optical withwater computer. Start the program called Nero Burning ROM. Left in the window that appears, select the component called CD Copy. Then go to the tab "copy Options". In this window, select "tape", then under "Source" select your optic inwater. You also need to set the read speed. By default it is set as the maximum. But it's best to set the average reading speed-16 or 18x. This will eliminate possible errors in the image capture process. Go to the tab "Image". Click the "Browse" button under "image File". Now specify the folder in which to save the image after creating it. Clear the checkbox "Delete image file after copy". Next go to the tab "read Options". There is a section "profile Selection", which is also close to the arrow. Click on it and select the type of disk. Specify the type of diskthat will be created. Then from the bottom of the window, click "Copy". A few seconds will start the process of creating the image disk. Wait until this process is complete. Its duration depends on the speed of reading, and the volume of the discfrom which it's created. After the operation is complete, a dialog box appears in which the details will be published. Go into the folder you chose to store the image. A virtual image of the disk will be located in this folder. If necessary, it can be written to the disc using Nero. DVD-video format for recording content on a disc, which implies the division of content into sections. Modern DVD players play all types of records, but older models only support CD or DVD-video. So many movies and continue to record in this format. Burn to disk with Nero. Install a program on your computer Nero 7. This is a handy application that will help you in recording high-quality DVD-video and be read on all players. By the utility the Nero StartSmart start section of the program Nero Vision. App you can find in the start menu, click All programs, then Nero 7 and the section "Photos and videos". You will see a window where you select "Make DVD video". In the left part of the tab, the wizard displays your chosen video each header which will correspond to the name of the movie. In the right part of this window you will see a complete list of files that are suitable for DVD-video. Install DVD the drive which is writable. In the program window select the same disc. Select the desired video to record such disks. Note the tape at the bottom of the active window as you fill it will increase. When it reaches the limit - this will mean that the amount of required information is greater than the size of the disk. Adjust it. If by mistake you selected the wrong file, delete it and add a new one. After checking all information, click "Next". In the new window you will see information about the recorded disc name, write speed. All these parameters can be changed by the users themselves. Pay attention to the burn speed - the lower it is, the less number of errors may happen in the end. You can also enable the function of checking the quality of the burned disc, to do this, select the checkbox for the corresponding row. Press the "Record" button. After that, the program will start recording. All these stages can be viewed in the "Event". Once the action reaches 100%, Nero Vision will automatically check the recorded data. At the end you will hear a beep and the disk drive opens automatically. Confirm when burning is finished click OK. The app will prompt you to save the project. If necessary, do it.